Month Of Kong: Whatever Happened To Donkey Kong Racing? E3 2001 was a joyous occasion for Nintendo fans. The GameCube was nearing its release in Japan and North America and Nintendo had a lot to say and show about it. Super Smash Bros. Melee, Star Wars Rogue Squadron II: Rogue Leader and Luigi’s Mansion were just some of the games causing a rather large stir. British development studio Rare — then still a member of the Nintendo family — also had new gameplay footage for Star Fox Adventures, which was looking pretty fantastic considering that it had started off life as Dinosaur Planet on the N64. 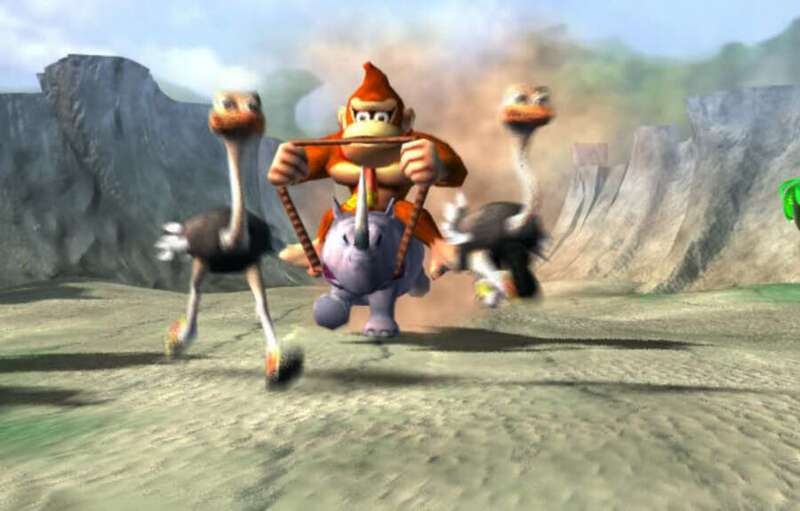 "The idea behind the game — which was Tim Stamper’s — was that the player wouldn't be constricted to just a single animal when racing"
It was during this same event that we received our first glimpse at another one of Rare’s early projects for the GameCube: Donkey Kong Racing. Given the second-party development studio’s huge success with the DK franchise — not to mention the superb kart-racing spin-off Diddy Kong Racing — there was good reason to be excited about this new entry. The E3 video showed DK and pals racing across various landscapes on a whole host of different creatures, and featured a superb tongue-in-cheek parody of the speeder bike chase from Star Wars: Return of the Jedi. However, what made Donkey Kong Racing seem even more interesting than other racers that had come before it was that it had a rather novel gameplay idea, one which — incredibly — still hasn't been done to date. “The idea behind the game — which was Tim Stamper’s — was that the player wouldn't be constricted to just a single animal when racing," explains former Rare staffer and lead designer on Donkey Kong Racing, Lee Musgrave. “You would move between different-sized animals; bigger animals could smash through obstacles, while smaller ones were much more manoeuvrable.” This gameplay model took the existing racing game concept of having multiple drivers with different attributes and tried to apply it in a fresh and dynamic way; players could effectively alter the racing properties of their character mid-race. With a solid and innovative gameplay idea — as well as an impressive tech demo — it looked as if the development of Donkey Kong Racing was off to a good start, but sadly this was as far as the game ever got in its original form. Behind the scenes there were other forces at work which ultimately derailed the project from its originally envisaged destiny. Around this time Rare was looking for a buyer after Nintendo had turned down the opportunity to purchase the remaining 51 percent stake in the company from its founders the Stamper brothers. "It was a sweet spot of Microsoft having this new black box, a huge controller, lots of shooter games and more money than everyone else"
Rare’s search for a new suitor coincided with Microsoft’s entry into the console business. “It was a sweet spot of Microsoft having this new black box, a huge controller, lots of shooter games and more money than everyone else,” Musgrave tells us. To Microsoft, Rare seemed like the perfect choice when it came to widening the demographic of its upcoming Xbox console — not to mention that its gain came at rival Nintendo’s loss. It was a PR success, but a costly one — Microsoft had to shell out $375 million to acquire the studio. As a result of this changing of hands, Donkey Kong Racing understandably couldn't continue in its original form. “We tried to figure out what to do with it," says Musgrave, “We made a prototype version for Xbox, but because nothing else had been made up until this point, we essentially built it from scratch.” The prototype finally delivered the original concept in a playable form and, according to Musgrave, had some nice little features. “For example, if you got knocked off your animal, you had to do a Track and Field-esque button-bashing activity to get back on it.” There was a even a multiplayer mode, although Musgrave does admit that it was still all very limited at this point. Despite this progress, the game was subject to further changes. 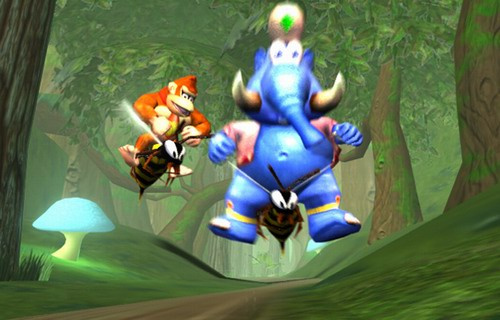 “We decided to try and make it a bit more like Diddy Kong Racing in terms of it being an adventure game,” Musgrave reveals, “Over the course of the next 18 months or so, it went from being a track-based animal racer to a more open-world game with Tamagotchi-style features, in which nurturing your animal became a key mechanic.” The open-world influence came from Grand Theft Auto III, which as Musgrave aptly puts it, “everyone was gawping at around that time”. In this revised version, the player would essentially nurture their animal and then race it. However, this mechanic gradually took centre-stage to the point where the project evolved into what Musgrave calls "a cute version of Grand Theft Auto set in Africa". By this point in time, what was once Donkey Kong Racing had now been reworked into Sabreman Stampede, an IP which originates from the Stamper brothers’ first development studio, Ultimate Play the Game. As time went by, development switched from the original Xbox to Xbox 360. "Over the course of the next 18 months or so, it went from being a track-based animal racer to a more open-world game with Tamagotchi-style features"
Sadly, Sabreman Stampede suffered the same fate as Donkey Kong Racing. “It was such a wide game in terms of content, and the development went off into the woods a little bit,” Musgrave admits, “It took a long time to do, and at the same time we were trying to build engines for consoles we weren't familiar with.” Development fizzled out over time, and although there wasn't any real decree that the game shouldn't or couldn't be released, Musgrave feels that after all the changes and time it had taken the end product wouldn't have been worth the effort. It’s important to note that Donkey Kong Racing and Sabreman Stampede’s fates weren't sealed by a lack of talent on Rare’s part, but rather they were unfortunate casualties of the Microsoft acquisition. It's perhaps not immediately apparent to those looking in on the company from an outsider’s perspective just how much of an impact this had on Rare’s ability to get on with what it was really good at: making great games. Musgrave's insight provides a clear picture of the challenging situation Rare was facing at the time. “Things like changing consoles and entering a new generation of hardware made it very hard," he explains. "We often had to wait for new versions of console firmware and lots of other obstacles would get in the way of straightforward development”. The former Rare man draws a rather stark comparison, noting the very short time that existed between his team’s previous games on N64. 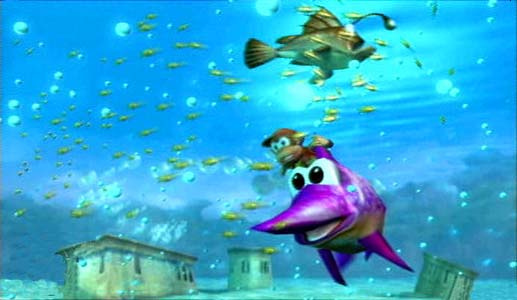 The increase in team sizes also didn't help; as had been the case when working on Diddy Kong Racing and other N64 projects, most teams at Rare consisted of 12 to 15 people. This suddenly transitioned to 30, which understandably took some time to get used to. The industry as a whole was growing and the days of small, compact teams creating Triple A blockbusters was coming to an end. "Don't diss the monkey; he’s bought a lot more houses than you might imagine"
@IxnayontheCK - Thats what I was thinking, but I honestly dont know enough about any of this to know how accurate it is. That first paragraph including those 4 games makes me sad for the Wii U line-up, and it explains a lot about its lack of sales and excitement. but whats really upsetting is that despite those games and overall enthusiasm for the Gamecube it didn't sell very well, so what hope is there really for the Wii U ever selling well? @IxnayontheCK Rare made a reasonable amount of completely new things. Retro so far hasn't done that to anywhere near the same extent. “I think it’s a sign of the times more than anything else; games nowadays take much longer to develop, and they have to be a certain quality before you can release them.” - I think today the quality is worse than ever even Nintendo is not immune because although the stuff doesn't crash and it works well the level design isn't as good as it used to be. (Pretty much everybody else releases stuff that is completely broken). I'd love some more articles on here about Rare, their relationship with Nintendo, the Microsoft acquisition and it's past and current implications for Nintendo. I was so looking forward to this when it was announced, huge fan of Rambi! @IxnayontheCK No they aren't. Rare, unlike Retro, was allowed to create its own IPs alongside using some of Nintendo's. Yes, Rare made great Nintendo games like Donkey Kong Country, Star Fox Adventures and Diddy Kong Racing, but it also had fantastic stuff that it came up with on its own like Banjo-Kazooie, Perfect Dark, Conker's Bad Fur Day and Killer Instinct. Retro has nothing like that, as Nintendo for some reason only lets them use existing IPs. Don't get me wrong, Retro's games are great and I love them, but they are not Rare. Also, Rare came out with one or two games every year. Retro takes 3 years to make one game. I know game development is different now that it was back in 1996, but still. One game every three years is nothing compared to Rare's production. @bizcuthammer i completely agree. I just meant in terms of being their big 2nd party developer. And the lack of fresh IP's like from Rare days is a total bummer and something Nintendo really really need...as do we the consumer ! It's a completely different industry these days. With the increases power and graphics of modern game systems, it takes a lot more time to build a functional game, and making one that with little to no bugs or glitches is next to impossible with the complexity games have reached. Rare excelled because of their dedication to polished quality; though they released quality games as late as the N64 days, they definitely started to falter as their level of quality became harder to reach. Rare was a top dinosaur in a golden age, but the changing environment has wiped out most of those dinosaurs; those that remain have had to evolve and adapt, some adapting better than other... Could we hit another golden age of gaming? One can hope, though it's hard to know who will be at the top of the food chain then. At least Rare still exists, who knows what the future holds. Some of the ideas for this game do indeed sound cool and boy would I love to see some kind of spiritual successor to Diddy Kong Racing. Great job with this, @MegaWatts. I wanted this game so badly when it was announced, so it's nice to get more detail on its development history. I remember seeing this on the Gamecube box and being so excited to play it. Safari Hustle, the excellent minigame in Wii Party U, shows just how well the different animal approach can work. It's great fun. @IxnayontheCK I agree. Although I would love to see Retro create a brand new franchise rather than update old ones. In a way, I am kinda glad Donkey Kong Racing wasn't released. I feel that the Racing genre was Diddy's thing not DKs. I hope Nintendo releases a new Diddy Kong Racing in the future. @IxnayontheCK No, it's not. Retro is a good second-party developer but far beyond from the good ol' Rare. @IxnayontheCK I totally agree with you and I think Nintendo feels the same way. Otherwise they (Nintendo) wouldn't have secured enough shares practically to own Retro thus making it a first party developer. Thanks to the Metroid Prime Trilogy and the DKR games, Retro had proven itself to be a great developer. What Nintendo needs to do now is to unleash Retro and let their creative team create the next Metroid game and other franchises like Starfox, and maybe even F-Zero. @IxnayontheCK - "It's a console#2 system and will stay that way"
I think currently putting Wii U at #2 is very kind of you, I'm looking at 4 or 5 behind the PS4, 3DS, Vita, and the "app" game market on tablets and smartphones. If/when Amazon comes out w/ a Kindle TV box that will sell better as well. And it makes me feel bad as I spent $350 on a console that all I have to look forward to is eShop games for the next 3 months. Competing w/ the Ouya is not setting goals very high. It will get better in the fall again after MK8, SSB, Bayonetta 2, X and whatever is announced at E3 along with Zelda but for the immediate future I wouldn't tell anybody to buy 1. What happened to Jeff Goldblum, did he start worshiping Cthulhu? @donkeykong64 Shouldn't even be thinking of franchises. Diverse interesting one off games. @rjejr Agreed. I bought a Wii U day one and ever since then it seems all I do is look forward to upcoming games. My Wi U sits and gathers dust as I wait for something good to actually release and I have a feeling all i'm going to do for a good long time is wait for something meaningful to come from my Wii U. I had such high hopes. it stings when this kind of thing happens and you put so much hope into it. Another DK racing game similar to this though not the same game, is Donkey Kong: Barrel Blast for Wii. 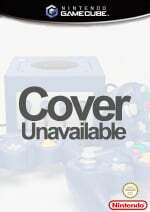 It too was suppose to be release for the GameCube and were to utilize the GCN bongo pack but was cancelled and released for the Wii instead which became a flopped. Fortunately I'm glad Nintendo stick with Diddy Kong Racing and Mario Kart instead of putting the DK crew into more Mario Kart clones. When Rare was bought by Microsoft, that has probably been the saddest gaming news I have heard. I grew up on the SNES and 64 and Rare had a part in many of my all time favorites. Great article, keep up the good work. Never heard of this game before, looks fun though. Nintendo should let Retro make a new IP. I love the games they've made so far but they aren't what Nintendo needs now. Rare is dead. RIP However the new Killer Instinct is awesome. Rare was great; I got to play a handful of their games as a kid. I'm gonna chase me down some Rare games for my N64. I've never played Donkey Kong 64 or Perfect Dark, for example - And I NEED to. I've already bought an Expansion Pack so I can play DK. Retro is about half the size of Rare currently (according to wikipedia), so expecting the same output is not realistic, and it appears they put out releases at about half the rate Rare does. The problem of the Wii U is more due to the fact Nintendo needs 4-6 more Retro Studios in order to keep a steady supply of retail release quality games in production. Their current rate of a retail release every quarter is not enough to satisfy demand (just look at the grumbling here on releases). Just to give some perspective: N64 (released Sept. 29, 1996) ~1 yr 3 months into it's US release 83 games (not all available in all regions) Gamecube (released November 18, 2001) 1 yr 3 months into it's US release: 137 retail games. Wii U Released (November 18, 2012) 1 yr 3 months into it's US release: 112 retail games, 136 eShop/Virtual Console games. I would include the Wii but the amount of shovelware on it skews the numbers. @SunnyShores Donkey Kong Country: Tropical Freeze, Super Mario 3D World, Pikmin 3, The Wonderful 101, Lego City Undercover, New Super Mario Bros. U, Monster Hunter 3 Ultimate, ZombiU, Nintendo Land and TLoZ: WW HD are all great games, which are available exclusively on Wii U. Personally I think those games should be more than enough for now (at least for most people) and even if you don't like all of those games, there are still great eShop- and non-exclusive games released for Wii U (like Rayman Legends for example). The upcoming exclusives (Mario Kart 8, X, Super Smash Bros., Bayonetta 2, Yarn Yoshi, SMT x FE) are also very promising. @rjejr "That first paragraph including those 4 games makes me sad for the Wii U line-up, and it explains a lot about its lack of sales and excitement. but whats really upsetting is that despite those games and overall enthusiasm for the Gamecube it didn't sell very well, so what hope is there really for the Wii U ever selling well?" Man I came in here after reading that to type almost this very thing. Well said. The thing is, outside the freakish, casual driven success of the Wii, Nintendo home console sales as a whole have been in a sharp decline since the N64 came out. It's a sad reality. It really is surprising that it took this long for Iwata to have the "come to jesus" moment he did at the Dec investors meeting. Something that should have been done during the Wii era, not the end of 2013. @IxnayontheCK Uh, hardly. They do have the Prime series and a couple of DKCs under their belt, but to imply their impact to Nintendo is/was anywhere near Rare's impact in the SNES and N64 days is just silly. @IxnayontheCK For my money, Retro today is better than Rare in the Nintendo days. And I'm normally the curmudgeonly type that believes gaming in the SNES days was better than gaming today. David Wise has made a fantastic soundtrack for TF, its incredible! Huh. I never had heard of this until today. Definitely interesting. Maybe now they could release it on Wii U! Depressing as heck though, init it? Don't be sad for the Wii U lineup! We've already got quite a few games that would make even the almighty Gamecube jealous, such as DKC Tropical Freeze (Gamecube never did have a good DK game). We also have 2D Mario games now, which were MIA back in the Gamecube era. Pikmin is a franchise best enjoyed with motion controls, which was also not present during the 6th gen. Super Mario 3D World is leagues better than Sunshine, and we have a superior, HD version of Windwaker with 2nd screen integration. Mario Kart 8 looks sick compared to Double Dash, and Super Smash Bros 4, well, let's just say Melee didn't have Mega Man. Gamecube did have the Prime games, yes. But I believe with all my heart that the Metroid game we get for Wii U will outclass them every step of the way. There are certain Gamecube gems that will always shine, such as F-Zero GX, Paper Mario Thousand Year Door and Luigi's Mansion, but, Wii U has its' own, like Wonderful 101, Monolith Soft's X and Bayonetta 2. It's great to remember the Cube for the excellent system it was, but let us not ignore what is right in front of us either. Seems like the worse a Nintendo console sells, the better its games are. So we're in good standing. But it's not about what Nintendo needs- it's about what we the consumers want and need. Nintendo IPs are what most consumers want vs a new game. There is a vocal minority always clamoring for new Nintendo IPs, but they're a small group and clamor regardless of how many new games Nintendo makes. New IPs sound good, in theory and on paper, but they don't sell as well as established IPs (proof that new IPs are actually not what Nintendo needs, just look at Wonderful 101 as proof), and they're a gamble for consumers as well. The few Ninty gamers who ARE willing to shell out for a franchise they've never played may or may not like the game, depending on their taste (just like some love DKC but hate Mario, some love Mario but hate DKC). Every article about Rare's glory days makes me sad. @unrandomsam definitely agree about Retro/Rare. Rare had an almost perfect run of about 20 games in a few different genres including brand new gameplay ideas. Retro have made a couple of great series in the same time. @JaxonH - "Gamecube never did have a good DK game"
DK:JB is my families favorite DK game and I don't see that ever changing. Before there was the Wii and motion controls, there was real motion w/ those bongos. And I'm not even joking. Keep in mind Starfox Adventures is the ONLY Starfox game we like, my family is very odd. Its late, I'm tired, Titan is coming, so your right about the Wii U and it's games, and I'm looking forward to later this year myself, but I still feel the general enthusiastic vibe isn't here now that was there then. W101 is highly underated. I really dont see how anybody could not like that game, its so fun and colorful. The story is'nt the most engaging, but it is there and mildly entertaining. Oh well. w/ time flying by so fast I wont have to wait long I guess. I remember this game. I wanted donkey kong racing so bad. And I still think that nintendo was stupid for not fully buying rare when they had the chance. And no, retro studios is NOT nintendo's new rare. At least not in my eyes they aren't. Sad. Now I wanna play that lost Donkey Kong Racing GC game. Instead we got useless DK bongos and a funky bongo racing game on Wii. I always wondered what the deal was with Donkey Kong Racing. Now I finally have closure. Taj riding on a Zinger... might be pushing it. @JaxonH - DK:JB was one of the first games my kids ever played when they were like 2 and 4 year old boys - my 2 yr old didnt even start talking until he was about 4 - so it was really fun w/ everybody taking turns and getting into it. They didnt get very far but I finished all the worlds. Gave my nephew our Gamecube when we bought a Wii and bought him the game and bongos to go along w/ it. So I recommend holding off on the purchase until you have kids to play with. The only other game they played at that age was Godzilla: Save the Earth (or whatever it was called on the PS2) so in comparison DKJB was the greatest thing ever made. Godzilla: Unleashed on the Wii is barely a step above shovelware. We're still waiting though for a good Godzilla game that lets you play as Spiga and fight Gimantis. My kids really want a Godzilla vs. Gamera game but thats never going to happen. Maybe they'll build one inside Minecraft. I'ld really like Starfox Adventure VC that would run on Wii U w/o turning into a slide show during the battles. And Crystal needs her own sequel so she can get into SSB. It's Nintendo's best chance to have something to compete w/ the likes of Tomb Raider, which I'm very happy to be getting this month the w/ PS+. Not that I want it that dark, just 3D open world. I know you know what I mean, you seemed very excited over the rumoured new Batman. Wonder if Wii U will get Batman or the new Assassins Creed. Too bad no more Darksiders. I really would have liked to play this. Retro Studios should do Diddy Kong Racing 2, at least until Nintendo buys the rights to Banjo Kazooie and Conker from Microsoft/Rare, and gives those IP to retro as well. After all, Microsoft isn't using them, they are too busy forcing Rare into their Kinect bin. Retro also said they enjoyed working on Mario Kart 7, so they do know how to build a fun kart racer. EDIT: Platinum Games is another studio that might be able to resurrect the Rare spirit, if not create a new IP for Nintendo on the same level as Banjo and Conker. @NathanVS you don't know that for sure. DK was never given the opportunity to prove himself. @polivar4 Barrel Blast was proof. Besides, Diddy needs his own series like Luigi and Yoshi has theirs.